Games 1-9 deal with the blocked center structure, d4-e5 vs d5-e6. Sometimes with the inclusion of pawns on a4 and a5 and sometimes without these. I also added a few commented games of my own where all the ideas are put into practice. For example, the game against Grandmaster Sambuev shows two important plans: one, you must open a front of attack on the queenside with b3 and two the h4-h5 push followed by Nh2-Ng4, a recurrent idea. In the last two games, I add two games that made a good impression on me, especially Khamrakulov-Suba 2007 since it was played just a few meters away from my table. I was very impressed by White’s attack against one of the greatest defenders I have ever met. In this article, GM Davorin Kuljasevic features one of the most important endgame topics - positions with same-colored bishops. In such kind of endings, the ability to find the right plan and the knowledge of the basic positional principles are much more important than calculation skills. 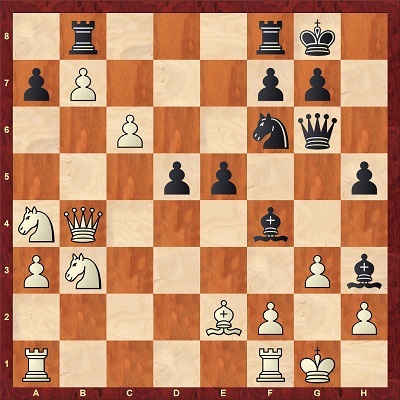 In this article, the author features positions in which one of the sides saddled with an unfavorable pawn structure. When you have one bishop left on the board, place your pawns on the opposite colored squares to your bishop. In the majority of examples we will see, the defending side hardly has a choice in the choice of the pawn structure (the pawns ended up on the same color as the remaining bishop in the opening or middlegame); however they do have a choice which pieces to exchange and which not, which is another important endgame strategy. More often than not, it is useful for the weaker side to keep more pieces on the board in order to compensate for its structural weaknesses. 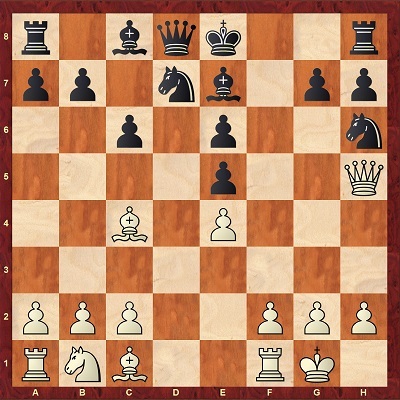 As we will see soon, same-colored bishop endgames that defy Capablanca's rule (i.e pawns are on the same color as defender's bishop) are difficult to hold, even if they seem drawish on the surface, so it is better for the defender to avoid them by keeping more pieces on the board, if possible. This position was reached in the final part of the game Sveshnikov-Kasparov, 1979., in which the young future world champion showed good (although not flawless!) technique in the typical "good vs bad bishop" scenario. 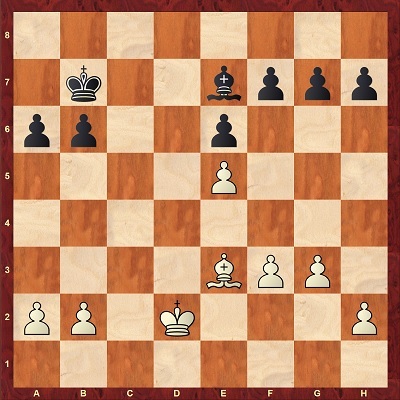 Despite the fact that White has structural weaknesses on the kingside, the author proves that his position is not lost. In his analysis, he demonstrates why the win is difficult when the weaknesses of our opponent are only on one of the wings. The principle of two weaknesses takes place in all the examples of the article. Besides the knowledge of endgames with same-colored bishops, this article provides the reader with a deeper look into the subtleties of the positional play. Strategical techniques such as fixing weaknesses, piece exchanges, and prophylactical thinking are dealt with in this article. So far, GM Nikolay Ninov was mainly dealing with piece sacrifices near the short-castled king, commenting on the attacking and defending opportunities for both sides according to the involved pieces. The push of the f-pawn deserves special attention for it is a popular option on the very first moves. It is characterizing the romantic King's gambit, besides it we have the Dutch Defence, the Austrian Attack against the Pirc, also the pretentiously sounding Grand-Prix attack. All of them can be described as a clear demonstration of aggressive intentions, based on its subsequent advance. Note that Magnus Carlsen has recently started some of his games with 1.f4! The author adorned 6.f5 with two question marks! "White's last move does not only contribute at all in a sense of center control but is also an unfounded turn towards the flank. Such wrong strategical decisions must be always rejected, at any cost. The natural move, in this case, is 6.Nf3. In reply to the text, Black obtains excellent play in the center (and on the queenside as well) with 6...Nd4, followed by c7-c6, b7-b5, a7-a5, Qb6 and d6-d5 at a proper moment." Having this advice in mind, in this article positions with mutual castling to the short will be examined with the marching f-pawn as a destroyer or opening the file/ freeing the way to the kingside for its own rook from f1/f8, all after sufficient mobilization of our forces. In this position, 10...Kf8 is known to be more than risky in the view of 11.f4! Here 11...Qd4 12.Kh1 Q:c4 is losing to 13.Nd2 with 14.f:e5 coming next, while 11...Bc5 12.Kh1 Kg8 allows, amongst all, a real breakthrough - 13.f5!? N:c4 14.f6! blasting the shaky shelter of the enemy king. After explaining the historical background of the f-pawn advance, GM Ninov starts examining modern top-level games which feature this attacking idea. Among the educational examples which take place in the article, you can find the games Magnus Carlsen - Xiangzhi Bu, Levon Aronian - Richard Rapport, and Arkadij Naiditsch - Jan Gustafson. Beyond any doubt, this article will help you to improve your attacking skills. 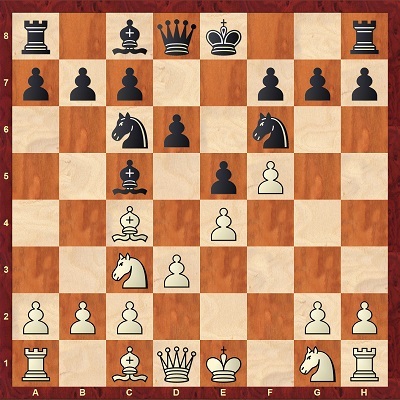 In this article, GM John van der Wiel continues torturing his readers with complicated positions. Once again, he uses his favorite training format - game with questions. This highly interactive training method is a fantastic way to increase your practical strength. Nevertheless, we should warn you - this training is very intense and energy-consuming! Determine the candidate moves for White (not too many), then dig deep. Try to find as much as you can. Can you predict the most likely result? And yes, this will be very complicated. In this article, GM Mihail Marin starts dealing with one of his favorite pawn structures - Modern Benoni Structure. "Unlike in the Gruenfeld, there is not such a wide variety of structures in the Benoni. It mainly depends on such issues as whether White consolidates his e4-pawn with f2-f3, or prepares to launch it forward with f2-f4 etc. But the main issue is the same: White has a mobile majority in the center, while Black has the same on the queenside. Obviously, White's most daring dream is carrying out a queenside expansion, involving ...b7-b5 followed, according to the circumstances, by ...c5-c4 or ...b5-b4."